So I should start by saying I have an unhealthy problem with going grocery shopping. You see my main problem is that I view the grocery store like an extension of the art/craft store, my frequent shopper card probably has me pegged as someone who loves things such as sugar free jello, cheap white vinegar and bulk boxed baking soda. 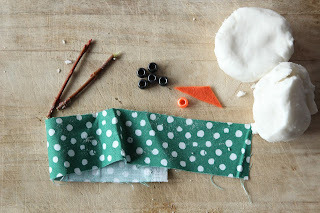 I buy lots of items with the sole intention to craft with them, I never use food coloring in something I'm going to eat but I buy enough to dye the Great lakes. You see there are just so many activities, and such fun to be had with items in your pantry and often if your making art supplies for your child you can be 100% sure they are free from any nasty toxic chemicals. 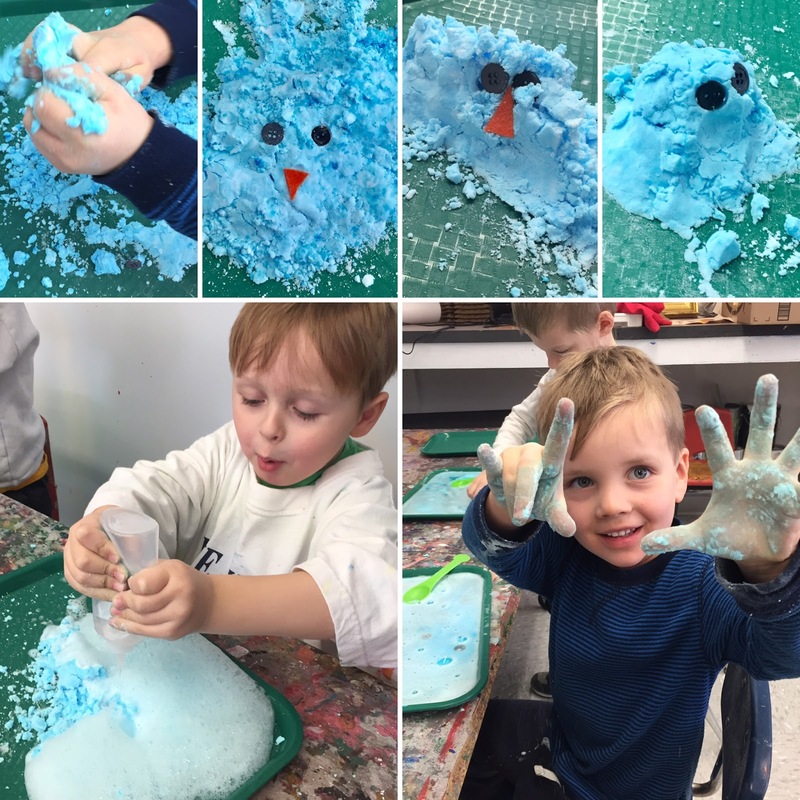 One example is this snow play we got up to this week. I'd read a bunch of various ideas of ways to create fake snow through Pinterest and so I thought Id have a go myself. I wanted to create a snow that they could both play with and build with but that would also be a little fun science experiment after they got done playing. The following post takes you through what you'll need to do to create your own fizzing snow play. I stirred the four ingredients listed above together in a bowl (you may need to get your hands in), make sure its consistency sticks when played with. If its too dry add a little more hand cream, too wet add more corn starch. After creating the dough I left it out for the kids to play with. This invitation to build a snowman included a few beads, some different nose options, twigs and a strip of fabric for the scarf. Once they have had enough snow play you can transfer the snowman to a shallow dish or tray - you'll want something that'll catch the liquid so it doesn't go all over your table. I gave each child a small squirt bottle filled with Vinegar, now I had to fill this us a couple of times for them - kids love the squeezing and reaction and will have to empty way more vinegar than they need just to ensure all the fizz has gone. You could use a larger bottle but be warned if the vinegar comes out too fast the reaction will be over quicksand you may need a deeper tray! A container and pipette could also work but it may take a really long time. Have the child squeeze some vinegar over the snowman, if you look at the base of the snowman in the picture below you can see the snowman beginning to fizz. Pour more on...and yes more fizz. They can keep adding vinegar until the snowman completely melts away. Make sure you have a round 2 snowman ready or even round 3 or 4, and LOTS of vinegar at hand. If your vinegar has come out quickly give the kids a spoon to play in the bubbles, the stirring can help it fizz and foam for a little longer. Honestly the kids can never have enough of this fizzy experiment. The magic melting snowman was a big hit here at home with my kids and also with the littles I teach, heres a few pics from the preschool snowmen (they were a little blue because I added a little food coloring).